An edit of flying action taken at airshows last season – enjoy! 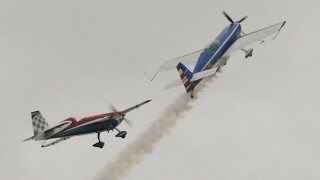 Our unique full-size plus model Extra Duo performing at the RAFA Shoreham Airshow in 2014, and hailed as one of the highlights of the show. Chris Burkett flying the G-Force Extra 300S, with Mike Williams flying a 41% scale model radio-controlled version. Must be seen! The DHL Aviation display team at the Bahrain Airshow. Chris Burkett flying the Extra 300S, Adrian Willis flying the Extra 200, with Chris Rabie and Roger Ware flying the DHL Boeing 757-200F freighter. The display features formation and solo aerobatics, a display by the 757, plus a unique formation flypast of the 757 with the two Extras. Includes footage flying over the Bahrain BIC Formula One race circuit. Take a ride with Chris Burkett and the other members of the Global Stars formation aerobatics team, flying high performance Extra and CAP aircraft during a 4-ship and 5-ship display routine. The team is led by Mark Jefferies with Tom Cassells, Chris Burkett, Steve Carver and Michael Pickin. As their name suggests, the Global Stars specialise in providing high calibre shows worldwide. 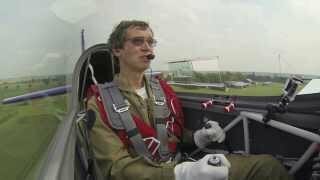 Chris Burkett was in China as a member of the Global Stars aerobatic display team, helping Skoda Cars to launch the Octavia A+ onto the Chinese market. 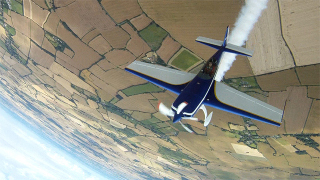 The team is led by Mark Jefferies, multiple UK National Aerobatic Champion. 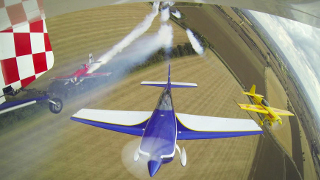 Flying with Mark and Chris in China were hugely experienced aerobatic display pilots Tom Cassells and John Taylor. A video of Chris and Mike’s Extra plus Model Duo Display filmed at the Southern Model Show in 2013. 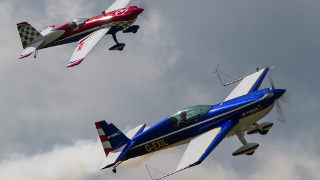 A similar display at Little Gransden was voted a Top Ten Airshow Moment of 2013. 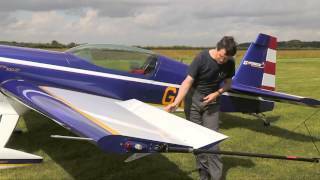 Chris Burkett talking about aerobatic display flying in the Extra 300S. With thanks to HDVS Media. Share the sensations and sheer delight of a flight performing (quite intense!) 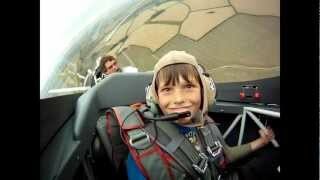 aerobatics with David (aged 10) in a high performance Extra airplane. This will make you smile!